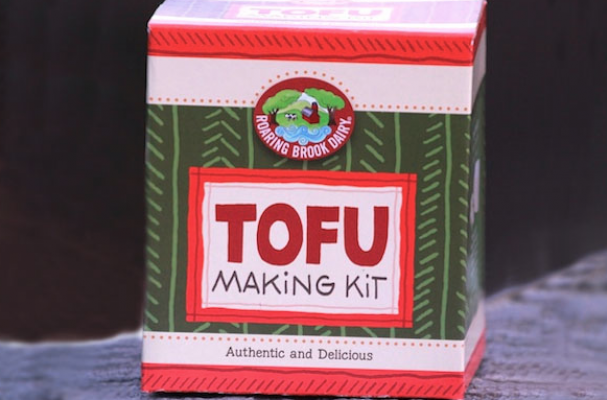 The Roaring Brook Dairy is known for their cheese making kits but their newest kit is all about tofu. This easy Do-It-Yourself project includes almost everything you need to make a pound of tofu. The only tools you'll need to have are a lemon, blender and reading glasses. If you have been skeptical of tofu, this homemade version will make you a believer. It is currently available online for just $24.